Aside from its iconic wats or temples, Thailand is heaven for those who love street food. Hawker stalls along the chaotic yet exciting streets of Bangkok offer some of the tastiest dishes in the city. A must-try is Som Tam, a green papaya salad sprinkled with peanuts. It’s an unforgettable afternoon snack because of its spicy, salty, sweet, and sour flavours. Noodle meals such as the Pad See Ew and Kanom Jeen are other snacks that’ll fill you up after a whole day of visiting temples and other scenic spots. Penang should be on your travel bucket list if you want to try out dishes that are a fusion of Chinese and Malaysian influences. This city is home to the Assam Laksa, a refreshingly sour soup made of mackerel with tamarind and chillies. To balance out the strong sour and spicy flavours, it also comes with freshly cooked white noodles, sweet pineapple, cucumbers, cilantro, shallots, and mint. Don’t forget to check out Penang’s version of the Wanton Mee, a sticky yet delicious noodle dish served with local veggies and a sauce made of oil and tangy soy sauce. Eat like the locals and get your hands on a bowl of Pho. A dish that put Vietnam on the spotlight, this fragrant soup is made of rice noodles and is sprinkled with the freshest herbs. Whether you choose Pho Bo (beef) or Pho Ga (chicken), you’re sure to enjoy a refreshingly filling meal. A popular breakfast dish, you’ll see vendors starting to hawk their steaming pots of Pho before dawn. After a delicious bowl of Pho, cool down with a glass of Cafe Nau Da, which is iced coffee sweetened with condensed milk. 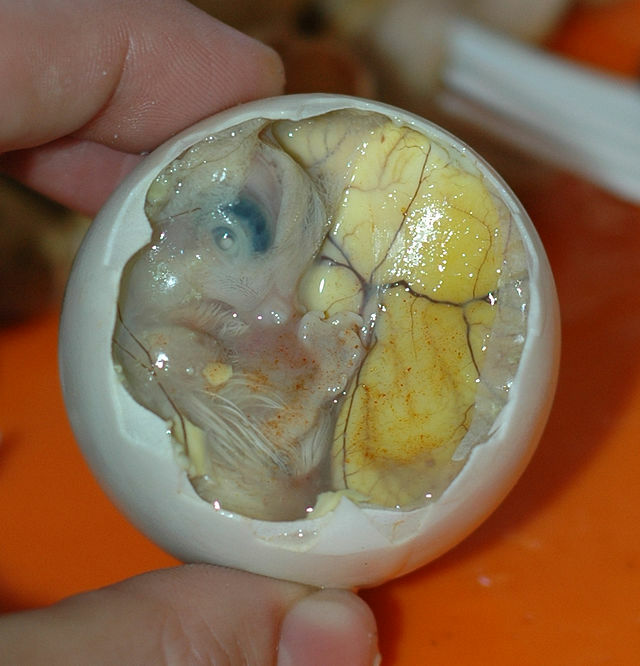 A trip to Manila wouldn’t be complete without sinking your teeth on a Balut, which is a fertilized duck egg that’s best eaten with vinegar, chillies, and garlic. It may not look that appetizing, but if you’re craving for something tasty and exotic, this is a must-try dish. Another snack worth tickling your taste buds with is Tsitsaron. Consisting of pork rinds that are salted and deep-fried, they’re best eaten with vinegar and chillies. If you want something sweet to start your day, gulp down a cup of Taho, a signature drink made of tofu, brown sugar that’s been caramelized with vanilla, and sago. These street foods are widely available almost anywhere in the cities and are sold cheap. So if you have limited funds but you’re craving for an adventure and delicious treats on the way, check out these Southeast Asian destinations. To help you save more money on your next food trip across the globe, look for airfare sales and special deals. If you’re worried about expensive on-site airport parking, search for an Brisbane Airport parking depot that offers cheaper rates and a courtesy ride to and from the airport. This way, you’ll have more money to spend on yummy hawker treats and sweets.